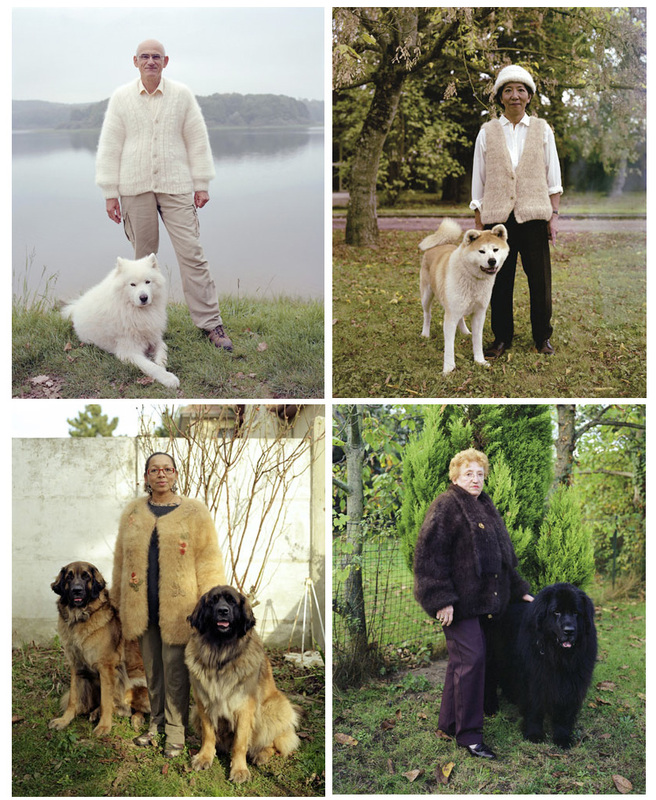 Erwan Fichou has an on-going series of portraits featuring people with their dog(s), wearing clothing made from said dog fur. I would never suspect just looking at the picture(s)... if anything, that they are a little too into coordinating with their pet. I think it would take me a very long time to get enough hair from my little dachshunds to make even one mitten. Get to work guys. For more on the practice of knitting with pet yarn check out If It's Hip and for more of Fichou's photography go here.